New year, new murder . 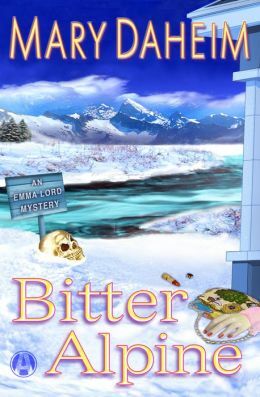 . . Emma Lord is on the case when death finds its way back to the wintry mountain town of Alpine. After a relatively calm and cozy holiday season, neither Emma Lord, editor and publisher of The Alpine Advocate, nor her husband, Sheriff Milo Dodge, are surprised when their new year gets off to a rocky start. A woman’s body has been found in a squalid motel. Her driver’s license shows that Dawn Purvis was in her late thirties and lived in Weaverville, California—and the only connection between that town and Alpine is their gold-mining and logging origins. When they discover that Dawn’s room reservation was open-ended, Emma, Milo, and the ever-inquisitive Advocate receptionist, Alison Lindahl, are more than mildly curious. And never mind that the youthful Alison is a bit distracted by the new county extension agent’s virile good looks. She can still sleuth while she stalks her newest crush. But that’s not all the news that’s unfit to print. There’s something strange about the older couple who have moved into the cabin down the road that was once owned by a murder victim. The elderly wife seems anti-social. There’s got to be a reason, which Emma, Milo, and Alison intend to find out—even if it puts them in deadly danger.